Castle Honda understands the requirements of the people residing near Northwest Chicago Suburbs, IL and they go out of their way to make sure that you are satisfied with your purchase. Castle Honda has been serving the automobile industry of The United States for almost four decades. The majority of Honda users in The Northwest Chicago Suburbs, IL are part of Castle Honda dealership team. Hundreds of new and pre-owned vehicles are being sold from our showroom on a daily basis. If you reside anywhere in Northwest Chicago Suburbs and need to buy or lease a new or pre-owned Honda or your existing vehicles need any sort of maintenance, visit Castle Honda in The Northwest Chicago Suburbs, IL. We are eager to serve you with high efficiency and our special offers will definitely make you our lifelong loyal customer. The most extensive New Honda inventory is of Castle Honda near The Northwest Chicago Suburbs, IL. A wide range of New Honda cars, SUVs, crossovers, hatchback and sedans can be seen at our showroom near The Northwest Chicago Suburbs, IL. Castle Honda dealership staff is eager to guide you about direct purchase, financing or leasing process. 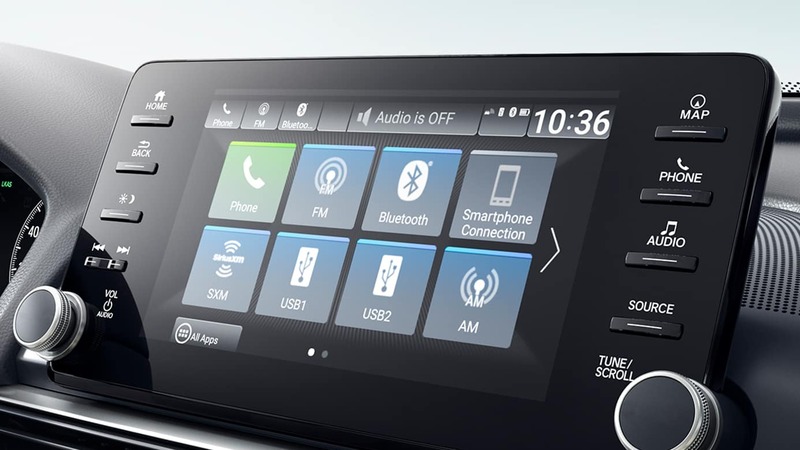 Our focus is to make the new cars buying process user-friendly and affordable for every customer that approaches us. The reason Castle Honda has become the most trusted and reliable Honda dealer in Northwest Chicago Suburbs, IL is not only our rich new inventory. We also deal in used cars and the most reliable pre-owned vehicles can be purchased from Castle Honda showroom near Northwest Chicago Suburbs, IL. 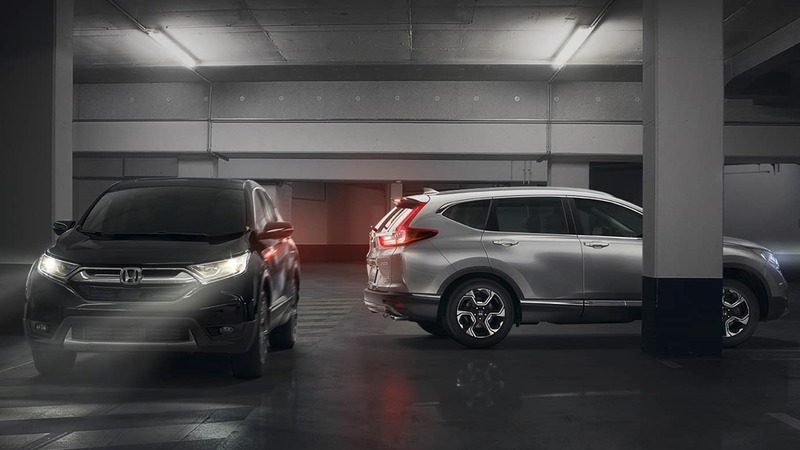 Castle Honda is determined to provide budget cars that are as reliable as the new ones. This stock of pre-owned vehicles is inspected by factory certified and highly skilled mechanics and we have complete inspection reports of all pre-owned models. These vehicles are highly reliable and will not disappoint you even on those long trips. 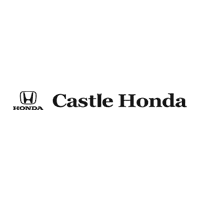 Castle Honda Finance Center in Northwest Chicago Suburbs, IL is the place from where customers can get easy and affordable financing irrespective of their credit history. We acknowledge the fact that financing a new or pre-owned car can sometimes be crippling but you need to get worried for nothing as our financial experts are readily available for assistance in each and every step of Honda financing. As soon as the form is completed, our finance department experts will do extensive research on your vehicles’ best market value and you will get a price quote shortly after. Castle Honda is not only a car dealership but a one window solution for all sorts of automotive needs. We have a state of art service center where manufacturer certified mechanics fix your cars with high efficiency. Castle Honda also provides free shuttle service, so picking your vehicles from your doorstep and delivering them back is now easy car owners. To schedule a service appointment just fill up the online form by providing your vehicle details, require services, desired time and date of appointment. Our service department representative will confirm your appointment and you will also receive a reminder call on the date of the scheduled service appointment. Castle Honda near Northwest Chicago Suburbs, IL is the right place if you love scoring special offers on cars buying, leasing, servicing or parts. Our dealership has always been renowned for discounts, promotions, offers, and incentives. This is because Castle Honda is a dealership that is highly concerned about customers’ purchasing powers. We also acknowledge that discounts and promotions are always demanded by customers. Once you will take advantage of these promotional offers and specials, we assure that you will keep coming back to Castle Honda, as these offers are unmatched elsewhere. Why Buy From Castle Honda In The Northwest Chicago Suburbs, IL? Come By For A Test Drive & See Our Inventory Below! 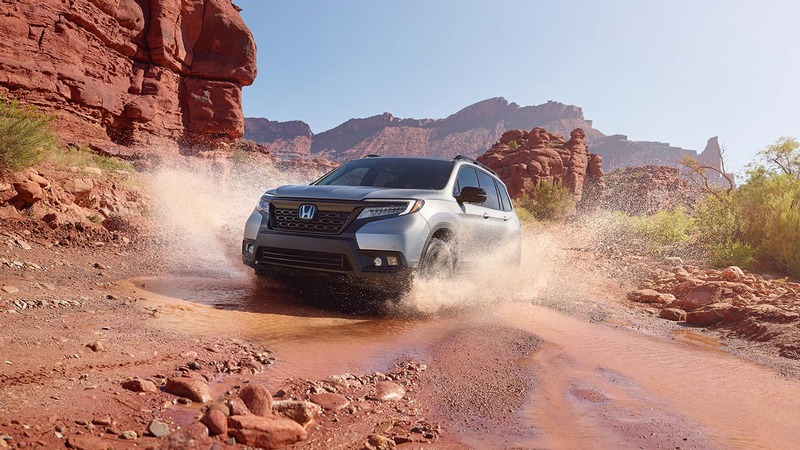 When you look for a Honda dealer in The Northwest Chicago Suburbs, IL with a huge stock of new and pre-owned vehicles and always brings exciting promotional offers the name of Castle Honda is top of the list. For Castle Honda, customers’ satisfaction and loyalty are paramount concerns. Visit Castle Honda today or call us as we are looking forward to serving you in the best possible ways. Tried-and-true, this Used 2012 Honda Accord Sdn LX makes room for the whole team and the equipment. This Honda Accord Sdn has the following options: Warning lights -inc: door & trunk open, fuel, coolant temp, low oil pressure, low brake fluid, Vehicle Stability Assist (VSA) on, passenger-side airbag shut-off, Vehicle Stability Assist (VSA) w/traction control, Variable pwr rack & pinion steering, Variable intermittent windshield wipers, Tire pressure monitoring system, Tilt & telescopic steering column, Sunglasses holder, Steering wheel-mounted illuminated audio controls, cruise controls, Side-impact door beams, and Side door pockets. Transport everyone in the comfort of every amenity in this tried-and-true Honda Accord Sdn. Come in for a quick visit at Castle Honda, 6900 West Dempster Street, Morton Grove, IL 60053 to claim your Honda Accord Sdn! Safe and reliable, this Used 2015 Honda Fit EX lets you cart everyone and everything you need in one vehicle. This Honda Fit has the following options: Wheels: 16 Alloy, Wheels w/Machined Accents, VSA Electronic Stability Control (ESC), Urethane Gear Shift Knob, Trip Computer, Transmission: 6-Speed Manual, Torsion beam rear suspension w/coil springs, Tires: P185/55R16 83H AS, Tailgate/Rear Door Lock Included w/Power Door Locks, and Strut Front Suspension w/Coil Springs. Carry all your passengers in comfort and style in this tried-and-true Honda Fit. Test drive this must-see, must-drive, must-own beauty and get a hassle-free deal today at Castle Honda, 6900 West Dempster Street, Morton Grove, IL 60053. Tried-and-true, this Used 2016 Honda Fit LX lets you cart everyone and everything you need in one vehicle. This Honda Fit comes equipped with these options: Wheels: 15 w/Full Covers, VSA Electronic Stability Control (ESC), Urethane Gear Shift Knob, Trip Computer, Transmission: Continuously Variable (CVT) -inc: sport mode, Torsion beam rear suspension w/coil springs, Tires: P185/60R15 84T AS, Tailgate/Rear Door Lock Included w/Power Door Locks, Strut Front Suspension w/Coil Springs, and Steel Spare Wheel. Transport everyone in luxurious comfort in this tried-and-true Honda Fit. Test drive this must-see, must-drive, must-own beauty and get a hassle-free deal today at Castle Honda, 6900 West Dempster Street, Morton Grove, IL 60053. Sturdy and dependable, this Used 2017 Honda Fit LX makes room for the whole team and the equipment. This Honda Fit has the following options: Wheels: 15 w/Full Covers, VSA Electronic Stability Control (ESC), Urethane Gear Shift Knob, Trip Computer, Transmission: Continuously Variable (CVT) -inc: sport mode, Torsion beam rear suspension w/coil springs, Tailgate/Rear Door Lock Included w/Power Door Locks, Strut Front Suspension w/Coil Springs, Steel Spare Wheel, and Single Stainless Steel Exhaust. Carry all your passengers in luxurious comfort in this trustworthy and dependable Honda Fit. Stop by Castle Honda located at 6900 West Dempster Street, Morton Grove, IL 60053 for a quick visit and a hassle-free deal! Tried-and-true, this Used 2013 Honda Accord Sdn Sport lets you cart everyone and everything you need in one vehicle. This Honda Accord Sdn comes equipped with these options: Vehicle Stability Assist (VSA) w/traction control, Variable intermittent flush windshield wipers, Tire pressure monitoring system, Tilt & telescopic steering column, Sunglasses holder, Steering wheel-mounted illuminated audio controls, cruise controls, phone controls, i-MID controls, SmartVent front side airbags, Side door pockets, Side curtain airbags w/rollover sensor, and Remote fuel filler door release. Transport everyone in luxurious comfort in this tried-and-true Honda Accord Sdn. For a hassle-free deal on this must-own Honda Accord Sdn come see us at Castle Honda, 6900 West Dempster Street, Morton Grove, IL 60053. Just minutes away! Tried-and-true, this Used 2016 Honda Civic Sedan LX lets you cart everyone and everything you need in one vehicle. This Honda Civic Sedan comes equipped with these options: Window Grid Antenna, Wheels: 16 w/Full Covers, VSA Electronic Stability Control (ESC), Valet Function, Trunk Rear Cargo Access, Transmission: Continuously Variable (CVT), Tires: P215/55R16 93H AS, Systems Monitor, Strut Front Suspension w/Coil Springs, and Steel Spare Wheel. Carry all your passengers in the comfort of every amenity in this sturdy and worry-free Honda Civic Sedan. A short visit to Castle Honda located at 6900 West Dempster Street, Morton Grove, IL 60053 can get you a hassle free deal on this dependable Honda Civic Sedan today! Safe and reliable, this Used 2017 Honda Civic Sedan LX lets you cart everyone and everything you need in one vehicle. This Honda Civic Sedan comes equipped with these options: VSA Electronic Stability Control (ESC), Valet Function, Trunk Rear Cargo Access, Transmission: Continuously Variable (CVT), Systems Monitor, Strut Front Suspension w/Coil Springs, Sliding Front Center Armrest, Single Stainless Steel Exhaust, Side Impact Beams, and Seats w/Cloth Back Material. Carry all your passengers in the comfort of every amenity in this trustworthy and dependable Honda Civic Sedan. Test drive this must-see, must-drive, must-own beauty and get a hassle-free deal today at Castle Honda, 6900 West Dempster Street, Morton Grove, IL 60053. Tried-and-true, this Used 2016 Honda HR-V LX lets you cart everyone and everything you need in one vehicle. This Honda HR-V comes equipped with these options: Wheels: 17 Alloy, VSA Electronic Stability Control (ESC), Urethane Gear Shift Knob, Trip Computer, Transmission: Continuously Variable w/Sport Mode, Torsion beam rear suspension w/coil springs, Tailgate/Rear Door Lock Included w/Power Door Locks, Strut Front Suspension w/Coil Springs, Steel Spare Wheel, and Sliding Front Center Armrest. Transport everyone in luxurious comfort in this sturdy and worry-free Honda HR-V. A short visit to Castle Honda located at 6900 West Dempster Street, Morton Grove, IL 60053 can get you a hassle free deal on this dependable Honda HR-V today! Sturdy and dependable, this Used 2016 Honda Accord Sedan LX makes room for the whole team and the equipment. This Honda Accord Sedan comes equipped with these options: Window Grid Antenna, Wheels: 16 Alloy, VSA Electronic Stability Control (ESC), Valet Function, Trunk Rear Cargo Access, Trip Computer, Transmission: Continuously Variable w/Sport Mode, Tires: P205/65R16 95H AS, Systems Monitor, and Strut Front Suspension w/Coil Springs. 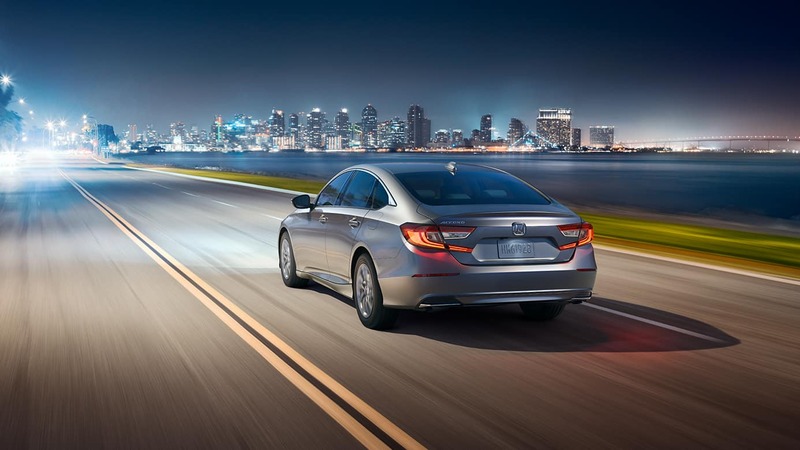 Transport everyone in the comfort of every amenity in this safe and reliable Honda Accord Sedan. A short visit to Castle Honda located at 6900 West Dempster Street, Morton Grove, IL 60053 can get you a hassle free deal on this reliable Honda Accord Sedan today! Safe and reliable, this Used 2017 Honda Fit EX-L packs in your passengers and their bags with room to spare. This Honda Fit comes equipped with these options: Wheels: 16 Alloy, Wheels w/Machined Accents, VSA Electronic Stability Control (ESC), Trip Computer, Transmission: Continuously Variable (CVT) -inc: sport mode and dual-mode paddle shifters, Torsion beam rear suspension w/coil springs, Tailgate/Rear Door Lock Included w/Power Door Locks, Strut Front Suspension w/Coil Springs, Steel Spare Wheel, and Single Stainless Steel Exhaust. Pilot the whole group in comfort and style in this trustworthy and dependable Honda Fit. Test drive this must-see, must-drive, must-own beauty and get a hassle-free deal today at Castle Honda, 6900 West Dempster Street, Morton Grove, IL 60053. Safe and reliable, this Used 2016 Honda Accord Sedan Sport makes room for the whole team and the equipment. This Honda Accord Sedan comes equipped with these options: Window Grid Antenna, Wheels: 19 Alloy, VSA Electronic Stability Control (ESC), Vinyl Door Trim Insert, Valet Function, Trunk Rear Cargo Access, Trip Computer, Transmission: Continuously Variable w/Sport Mode -inc: paddle shifters, Tires: P235/40R19 96V AS, and Systems Monitor. Transport everyone in comfort and style in this safe and reliable Honda Accord Sedan. A short visit to Castle Honda located at 6900 West Dempster Street, Morton Grove, IL 60053 can get you a hassle free deal on this tried-and-true Honda Accord Sedan today! Trustworthy and worry-free, this Used 2015 Honda CR-V EX-L lets you cart everyone and everything you need in one vehicle. This Honda CR-V features the following options: Wheels: 17 Alloy, Valet Function, Trip Computer, Transmission: Continuously Variable w/Sport Mode, Tailgate/Rear Door Lock Included w/Power Door Locks, Systems Monitor, Strut Front Suspension w/Coil Springs, Steel Spare Wheel, Speed Sensitive Variable Intermittent Wipers, and Sliding Front Center Armrest and Rear Center Armrest. 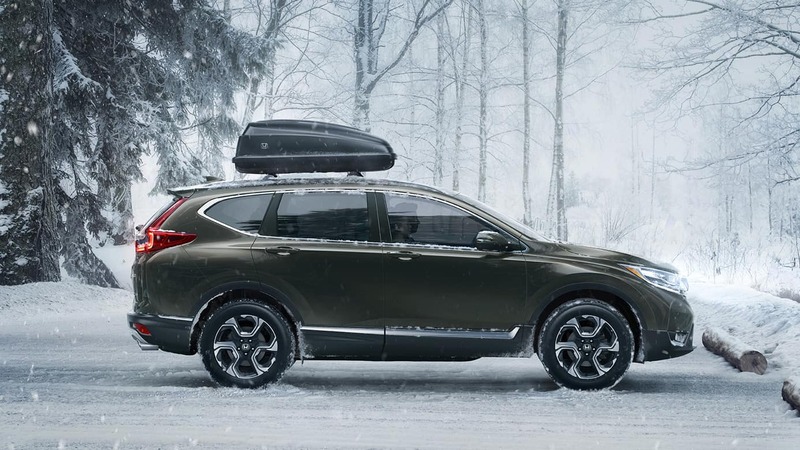 Transport everyone in luxurious comfort in this trustworthy and dependable Honda CR-V. Stop by Castle Honda located at 6900 West Dempster Street, Morton Grove, IL 60053 for a quick visit and a hassle-free deal! Trustworthy and worry-free, this Used 2016 Honda Accord Sedan Sport makes room for the whole team and the equipment. This Honda Accord Sedan features the following options: Window Grid Antenna, Wheels: 19 Alloy, VSA Electronic Stability Control (ESC), Vinyl Door Trim Insert, Valet Function, Trunk Rear Cargo Access, Trip Computer, Transmission: Continuously Variable w/Sport Mode -inc: paddle shifters, Tires: P235/40R19 96V AS, and Systems Monitor. Carry all your passengers in comfort and style in this tried-and-true Honda Accord Sedan. Treat yourself - stop by Castle Honda located at 6900 West Dempster Street, Morton Grove, IL 60053 to make this car yours today! No haggle, no hassle.